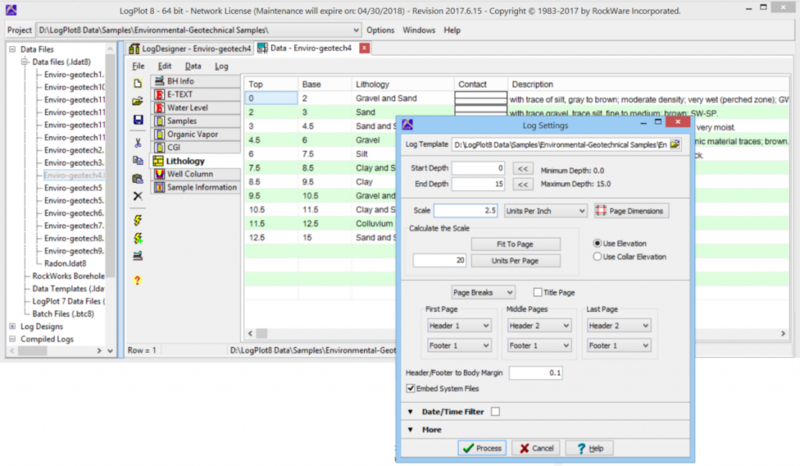 Tabbed spreadsheet windows make entering data a snap. 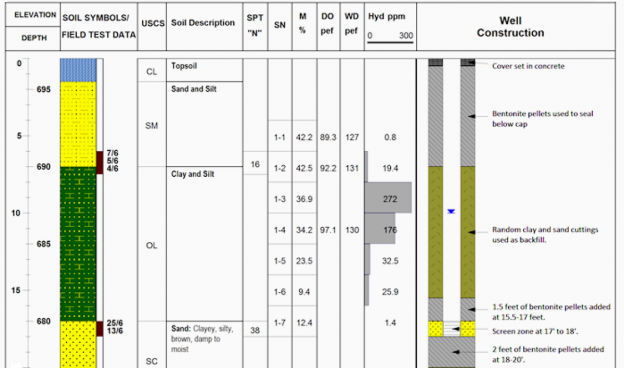 Point-and-click selection of rock or soil types. 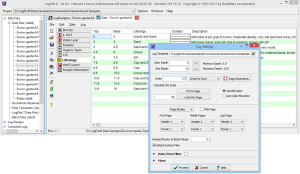 Type, paste, or import data from outside data sources. 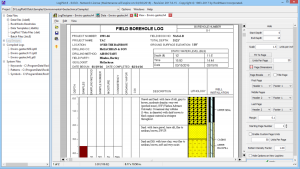 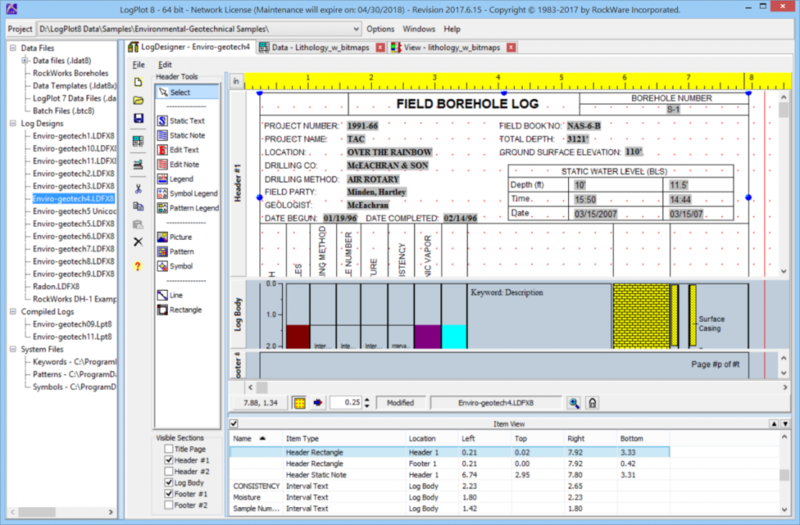 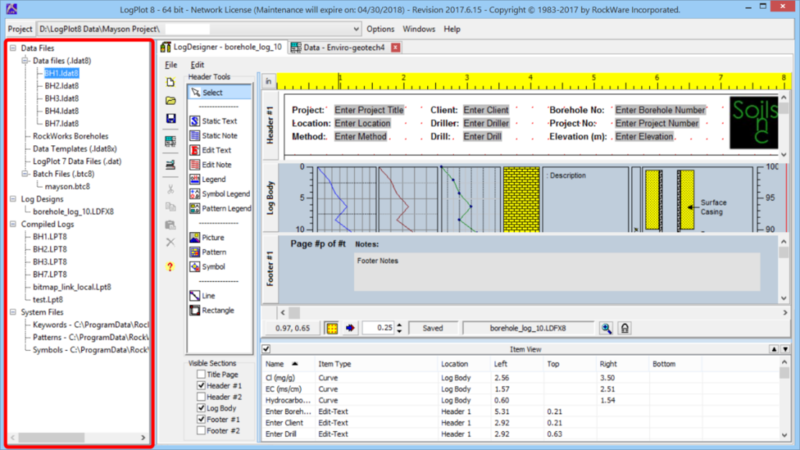 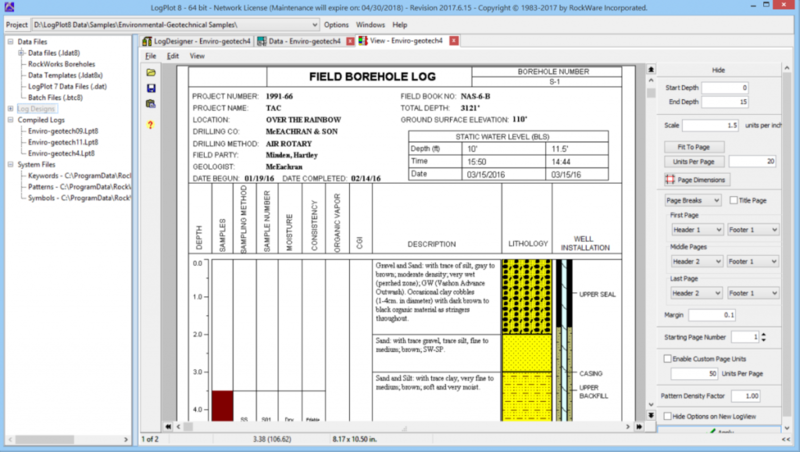 The LogPlot Data Editor includes tools for automatic depth intervals, arithmetic operations, data smoothing and filtering, and import from LAS, Excel, RockWorks boreholes, text, and DBF. 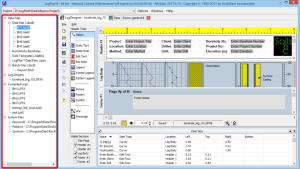 Users have access to USGS and USCS lithology patterns and keywords, international users have access to foreign language keyword sets. 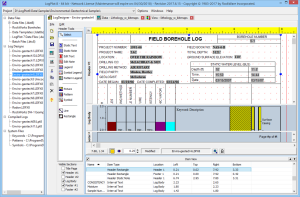 Export data to ASCII, Excel, LAS, and RockWorks.